Papua New Guinea has faced considerable governance and development challenges for decades, with poor education and health outcomes and community violence impacting all. Knowing that churches were the strongest civil society structures in PNG, the Church Partnership Program brings together seven churches and their Australian faith based NGO counterparts together with support from the Australian government to deliver health and education services, covering the vast majority of the country in doing so. 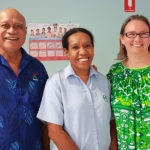 Our partners, the United Church in PNG continue to be part of this program to build peace, reduce disaster risk and impact, and more recently to address gender inequality and work towards social inclusion nationally. 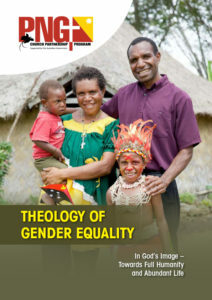 We have also been supporting a network of Pacific theologians to create theological resources for gender equality (Bible studies, workshop materials etc) and work with the Church Partnership Program and our partners to lead a dialogue in gender equality across PNG. 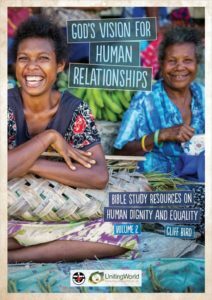 Use our resources on gender equality theology in your church or Bible study group! Download them here. Brought seven denominations together to adopt gender equality as their doctrinal position, and created a community of practice to advance this understanding throughout their communities. Created a co-ordinated approach to preparing for and responding to natural disasters, leading to a highly effective recovery from the El Nino famine in 2015 and now for the earthquakes in 2018. Provided health services and education services right across PNG, particularly to remote areas where neither private nor government services are available. Since 2016, our partners have provided training to 300 leaders in their professional areas of education, health and women’s empowerment.